Today, the “new” Weller WX2 soldering station has finally arrived and is in working order. The saga began when I contacted Apex/Weller to upgrade the firmware to the latest version, and it bricked my control unit. I had purchased one of the original units as soon as they came out, and over the years the display had started to dim and it was getting harder to register presses on the touch screen. As a result, they said they were going to send me a new unit. When they said I was getting a “new” unit, I envisioned a shiny new unit in in a brand new box. That didn’t happen. This one was just bubble wrapped and packed in peanuts. In any event, I’m glad to have it back. I was worried I was going to have to scramble to get a soldering iron for my EE term project. 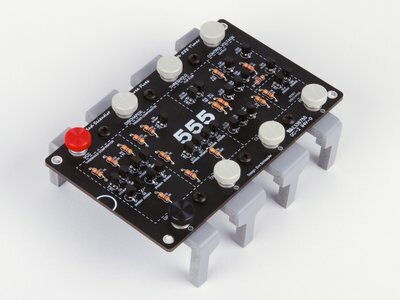 In fact, I was shopping for a substitute soldering station when I stumbled on a promotion where if you purchase a WX1 or WX2 (or bundle) you can get a free hand piece. This entry was posted in Electronics on April 16, 2014 by Joe Turner. Dyn is no longer offering free Dynamic DNS. Perhaps freemium is coming to an end. Someone publishes a tutorial and code for a tiny, safe web server that only serves static pages. Then, people comment on the code, which is neither secure, safe or multi-threaded. Another stolen website for ransom story, complete with incompetent and unhelpful domain registrars, but with a happy ending. We already knew the Facebook ads were a scam for advertisers, now someone has figured out some troubling issues with Google Display Ads, which by default are shown to toddlers with tablets. Toddlers + tablets = wasted advertising. The Obama administration (EPA) has been testing deadly pollutants on humans, over the past few years. Simply Amazing. A free course on Web development using Python and Django @ SlideRule. “Cloud Based Circuit Board Assembly.” Basically a service that will make your PCBs and assemble you boards. Better yet, I’ve found PCB Shopper, a calculator that will show you the prices from different manufacturers. Linux gets frozen, what do you do? I have to admit, most of the time I reach for a hard power cycle… but you shouldn’t. Intel has unveiled a tiny $99 MinnowBoard Max SBC. Looks like they are getting serious about competing in the small single board computing market. The ‘Apollo 11’ code has gone open source, or more specifically the Apollo Guidance Computer (AGC). $5 for a 1/8” Twist Drill? Only in America… I totally believe the anecdotes. This entry was posted in InterWeb on April 8, 2014 by Joe Turner. I picked up the Craftsman Max Axess driver set a few weeks ago and finally had a chance to use it; I’ve slowly grown to like it. Honestly, it was an impulse buy which I rationalized as something I could use around the house. I have a growing collection of screwdriver and security bits, and I’m always fumbling for a driver. The set stands alone or can be purchased to augment one of the other Max Access mechanics toolsets. This particular set has something the other sets don’t provide – a screwdriver bit adapter. Generally speaking, the Max Axess system was designed to eliminate the need for deep sockets, and can be used where no standard 6pt or 12pt sockets can fit. The set includes a hollow-shaft driver handle which can be used with the 1/4” go-thru sockets, with or without the included 3-inch extension. This entry was posted in Reviews and tagged Max Axess, Tool Reviews on April 8, 2014 by Joe Turner. Update #2: Somehow, my address got mangled and the package got flagged as a wrong address. UPS shipped it back without any notification to me. It will arrive back at Apex in another week. I’ve asked that they send me another one, but it was later in the day. I’ll have to see if they ship another one to me without waiting for the current one to slowly make its way back across the country. I’m really not happy with UPS right now. UPDATE #1 : Apex tools decided to send me a brand new WX soldering station because the LCD was dimmed. I should have it soon. Friday, I tried to upgrade the firmware on my Weller WX2. I had purchased the unit right after they became available in the US, and still had the original firmware (0.49). Technical support sent me the updated firmware (0.64) and the upgrade instructions. The upgrade process hung and after well over half an hour, I powered cycled the device to try again. That’s when I learned that WX unit has firmware more than three or versions back, it will not update, in some cases. Yesterday, I packed it up and shipped it off to Apex tools to be reprogrammed or replaced. This entry was posted in Electronics and tagged Weller WX2 on April 1, 2014 by Joe Turner.